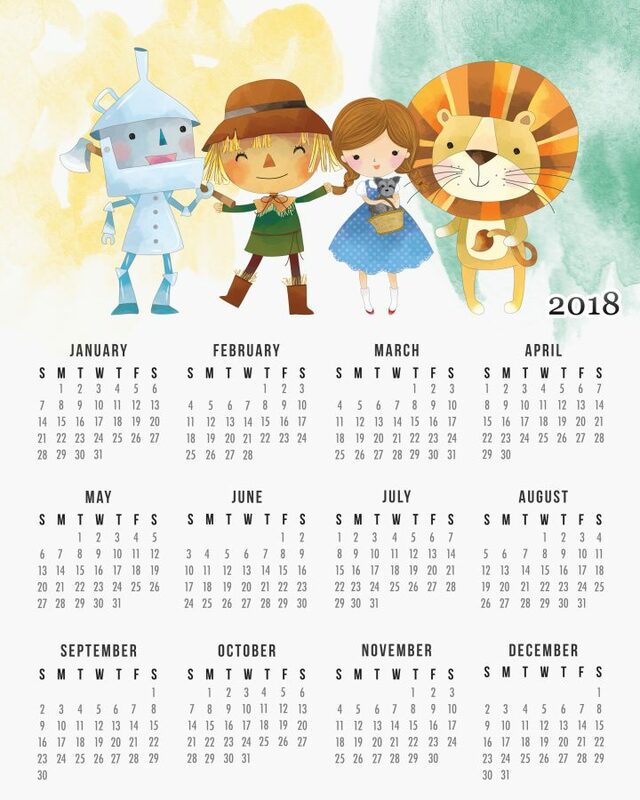 Hi there my friends…We are in the home stretch of November but we still have some MORE FREE PRINTABLE 2018 CALENDARS coming your way : ) Today it’s about Lions and Tigers and Bears OH MY…yep we have one of your favorite foursomes Tin Man, Scare Crow, The Cowardly Lion and Dorothy! 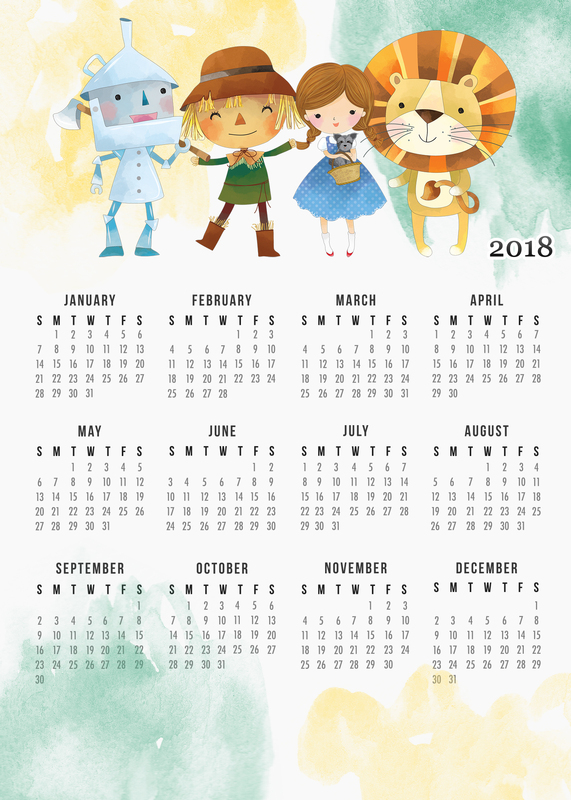 You guessed it… here’s the Free Printable 2018 The Wizard of OZ Calendar. It comes in 2 different sizes… 8 1/2X11 and 5X7. All you have to do to print them is click on the size under each month…”SAVE AS” and print! It’s that easy. 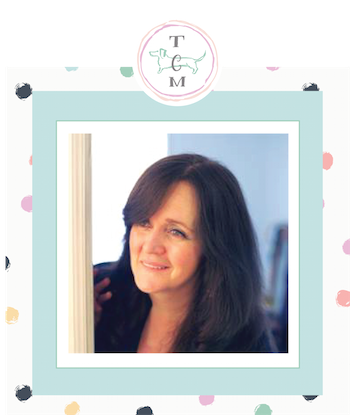 Frame them…hang them on your Bulletin Board…put them on the Fridge…wherever you place them you they will add a touch of fun and they will always keep you on schedule. May The Force Be With You! Remember December 15th…do you have your tickets??? For Personal Use Only…ENJOY! There are more Star Wars Calendars in our Freebie Gallery! Check out MORE Free Printable 2018 Calendars here. 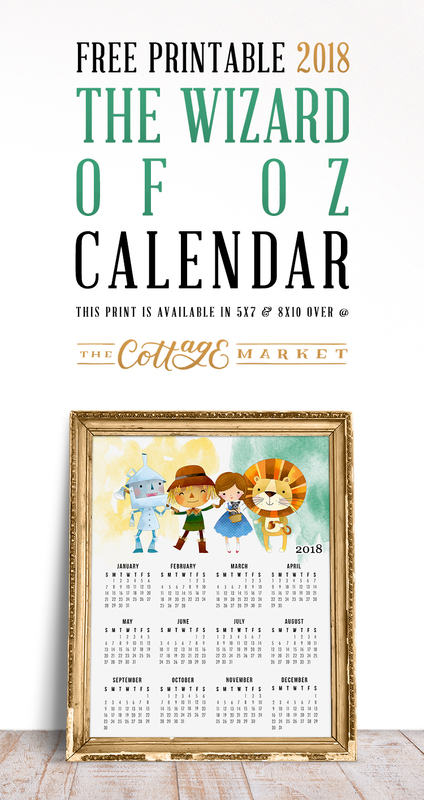 Hope you enjoy our new The Wizard of OZ Free Printable Calendar! You will probably be humming We Are Off To See The Wizard ALL DAY today! will you be doing 2019 calendars? Hi there Pamela! How are you. 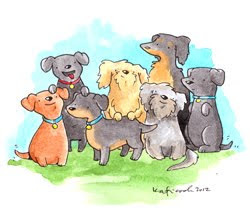 Yes… we will be doing the 2019 version really soon… keep a look out : ) Sending hugs and wishes for a wonderful day!